A happy chick is a healthy chick. Put your brood in touch with their playful side until they’re ready to join the real world. Newly hatched chicks are peeping balls of fluff that huddle close together under a heat lamp. Within just a day or two, however, they’ll be bouncing around the brooder, exploring their confines with limitless curiosity. Despite their innocence, that natural curiosity can turn nasty. Keeping your little ones amused and interested doesn’t have to be difficult or expensive. There are plenty of ways to entertain them without breaking the bank. One of the first reasons chickens of any age will start picking on each other is because they don’t have enough space. 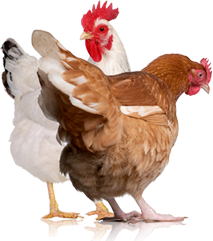 Chickens are active poultry and natural foragers, so sitting in tight quarters isn’t enjoyable for them. In the first few weeks after hatching, chicks barely need any extra space, but within a few days they’ll need 6 inches to a foot per bird. 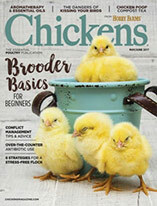 Ideally, a brooder that can expand in size as the chicks grow will satisfy their need for warmth and activity. You can accomplish this by building a larger brooder, blocking off a small area at first, and opening up the space as they get bigger. In the wild, chickens sleep in treetops to avoid being attacked by predators, and this inclination to hop and fly persists in domestic poultry today. Roosts and swings are a great way to inspire your chicks’ natural instinct and their need for exercise. While chicks will continue to sleep under their heat lamp, during the days, they’ll love jumping on and off roosts and enjoying the world from a higher perspective. Roosts can be built with simple twigs and sticks from your yard, balanced in your brooder or hung from above as a swing. Your own backyard can hold plenty of entertainment for baby chicks. Dig up a small clump of grass, place it in your brooder intact, and watch your chicks explore its wonders. They’ll be learning valuable lessons in how to scratch up dirt and forage for food. They may even be lucky enough to discover a worm in the weeds. A clump of weeds also provides chicks with some grit in their diet, essential to helping break down the foods they eat. Clippings from your herb garden are another healthy option. Basil, dill, cilantro, garlic and other herbs have wonderful health benefits for chickens, boosting their immune systems and general health. Every chicken loves a dust bath. 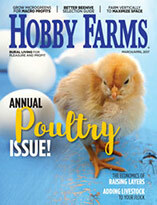 This activity keeps chickens healthy, ridding them of mites and lice. Chicks will naturally want to dust bathe and will appreciate the chance to do so. A dust bath is easy to make: All you need is sand and regular garden soil. Fireplace ashes or diatomaceous earth can be mixed in for a healthier bath. One of the benefits of a clump of weeds or some garden dirt is the possibility of a chick finding a worm or crawly creature. When this happens, excitement abounds. The winning chick races throughout the brooder trying to keep their prize safe from the others. To bring this excitement to your brooder and add some good proteins to your chicks’ diets, dig up a few worms for them. Regularly supplying them with treats will delight them and will help to form a bond between you and your chicks, as they will recognize you and associate you with treats. Chickens love their own reflections. You may be surprised to hear it, but they can’t get enough of themselves in a mirror. They will crane their necks and prance in front of the reflection trying to impress or intimidate the fellow inside. Adding a mirror to your brooder is inexpensive and well worth the investment. The best way to keep your chicks amused is to spend time with them. Just sitting and watching them will provide you and them with entertainment. This kind of attention gives you the chance to notice if anything is “off” in the brooder. With close supervision, even young chicks can be let out on a warm day or brought out of the brooder to hop around your floor. The more handling they get as chicks, the more they’ll enjoy being held as adult birds. Keeping chicks amused in a brooder is easy and rewarding. Keep your birds entertained, and they’ll soon be feathering out and ready for the grown-up world in the chicken coop.